This volume contains four great works (O Pioneers!, The Song of the Lark, My Ántonia, and One of Ours) by the author who created the first autonomous and successful women’s heroes in American literature. 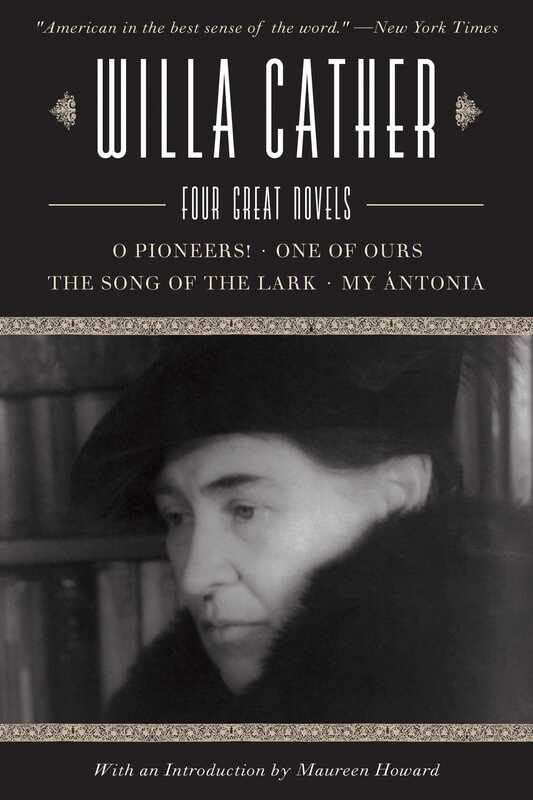 Willa Cather is one of America’s most treasured writers. Her childhood in the woodlands of Virginia and on the prairies of Nebraska formed the inspiration for many of her novels, and her devotion to education provided the basis for her lifetime of achievement. Many critics have stated that Cather might have won a Nobel Prize had she not been a woman in a time of gender inequality.